On Wednesday 25 September 2013, 16 members of the ACT Rural Fire Service attempted the Over Water Confidence Course at the Australian Defence Force Academy's (ADFA) Indoor Sports Complex. 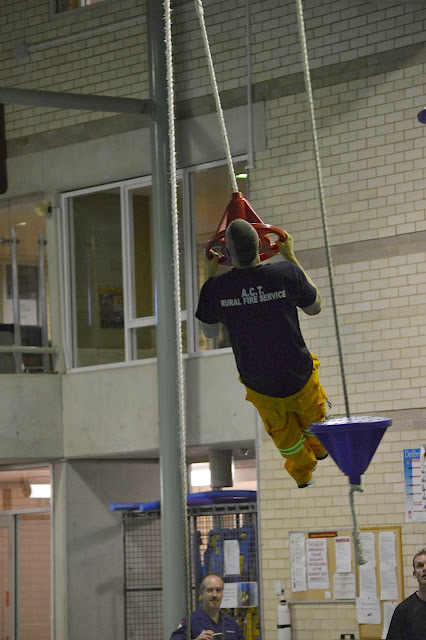 The activity was organised by Paul Murphy (Group 2) with Gungahlin, Tidbinbilla, Jerrabomberra, Molonglo and Rivers Brigades represented. The Over Water Confidence Course tests physical strength, agility and confidence at height within a safe environment. 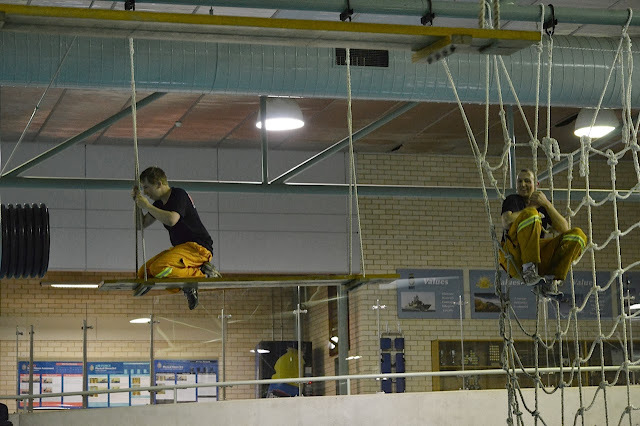 Two members successfully completed the course; Ewan Mason (Gungahlin) and Allan Freedman (Jerrabomberra) on his second attempt having fallen just short the first time. Several others made it most of the way around only to come undone at the most difficult obstacle near the end of the course, including, but not limited to, Alanah Mayberry (Tidbinbilla), Leanne Dunshea (Rivers), Anna Polson (Gungahlin) and Ryan Winefield (Gungahlin). All members attending thoroughly enjoyed the activity, with bragging rights going to Ewan and Allan. A big thank you has been given to the ADFA Physical Training Staff, especially the On Duty Physical Training Instructor who conducted the activity. 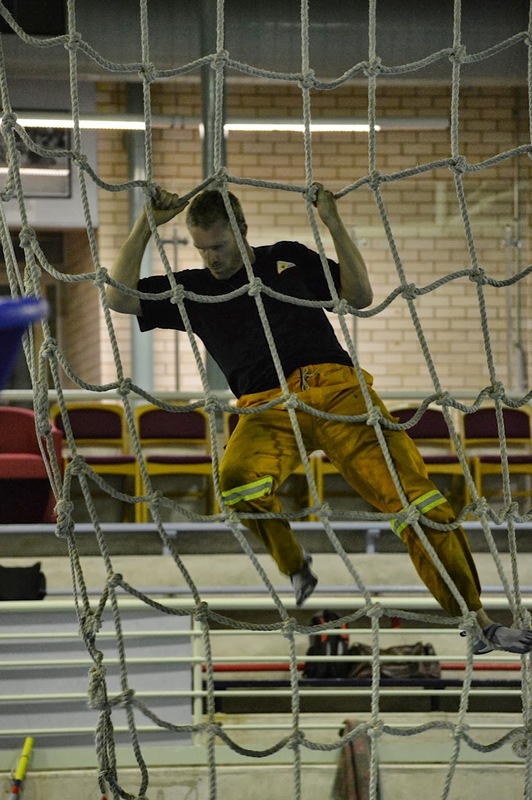 Ewan Mason from Gungahlin Brigade reached the end and was 1 of only 2 individuals to complete the course. He then completed 11 heaves. 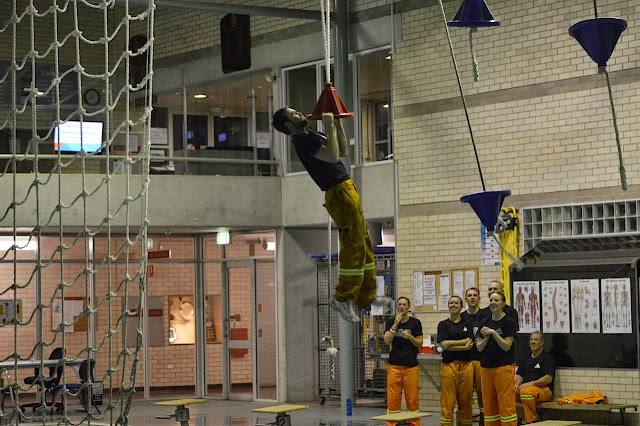 Andrew Lomas and Alexander Hodder from Gungahlin Brigade cling on for dear life. Emma Van Der Moezel (Gungahlin) shows how to do it. 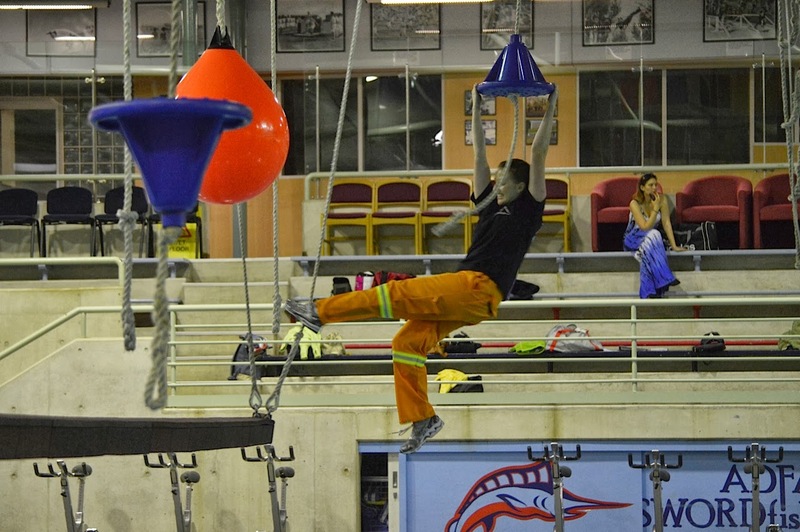 Ryan Winefield (Gungahlin) navigates the ropes. Nothing like finishing off with few pull ups.